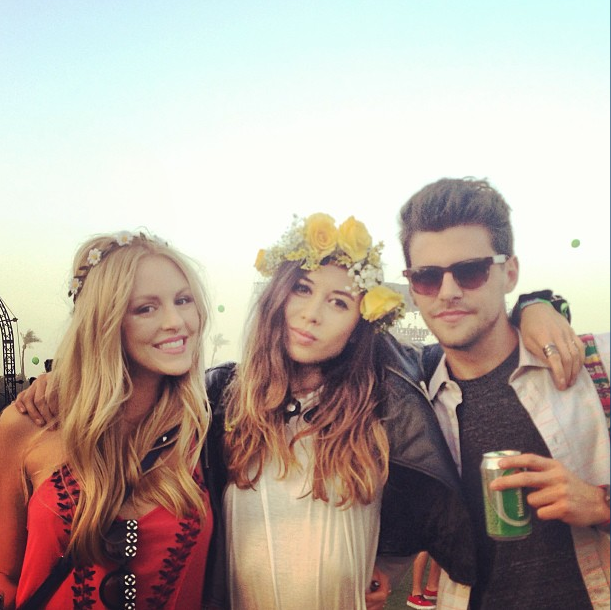 THE LITTLE DANDY : Blogger News Round-Up: Coachella Style! 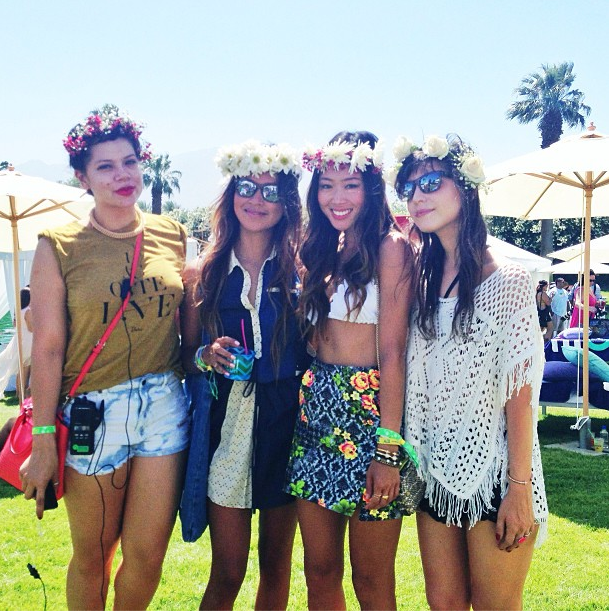 Blogger News Round-Up: Coachella Style! This weekend, some of your favourite style bloggers skipped on down to the sunny state of California to enjoy a weekend full of music festival fun! Don't even bother asking, because the answer is YES. This year, like every other year around this time, I sulk through my "I wish I were at Coachella" weekend. One day, folks...one...day...I... 'll...be there. Aimee Song of @songofstyle instagrammed in true festival style with blogger friends at the @lacostelive Desert Pool Party 2013. 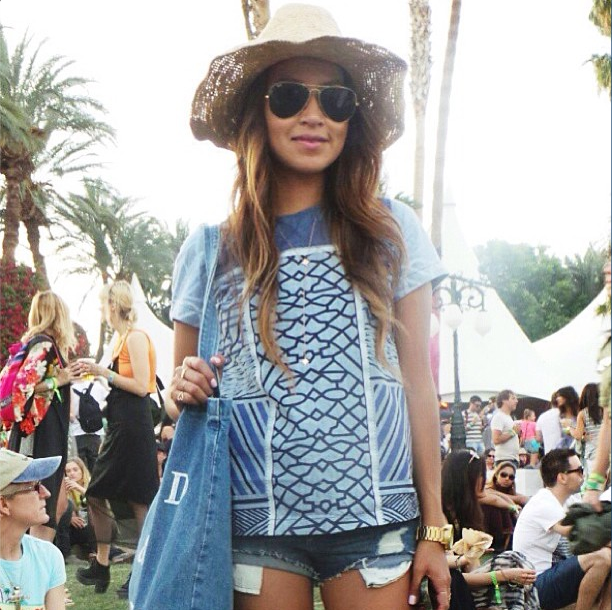 Julie Sarinana looking perfectly 'Coachella chic' (her words, not mine) in this denim & blue-all-over get-up. Also, I need her geo-print top. Without fail, The Blond Salad fashionista made it all the way to Cali to show off some tribal festival style. I think my favourite part about this is her "I don't care" hair. 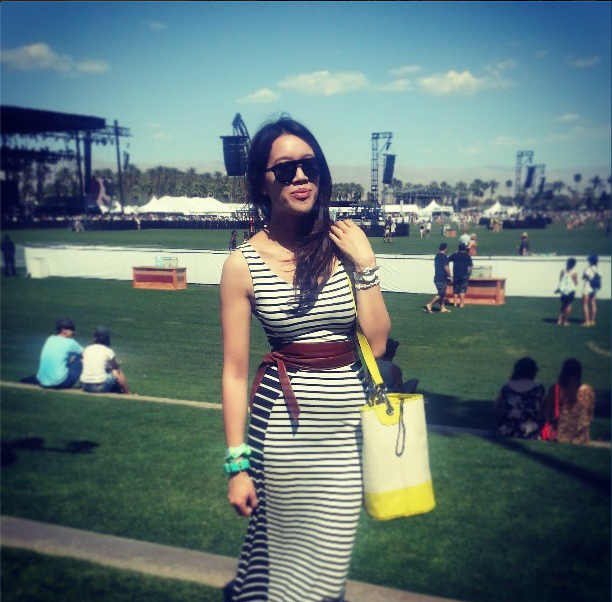 I saved my fave Coachella style pic for last: Jennifer Humphrey of A Go/Go Fashion looking absolutely perfect. Had I gone to Coachella, this is what I'd want to be in. Love. 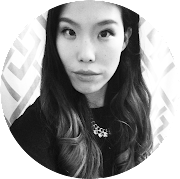 Toronto's own Gloria Chik of Urbane Bloc made it all the way out to Coachella this year! It's nice to see some Canadian presence <3. Alls I can say is, remember my post from last Wednesday? 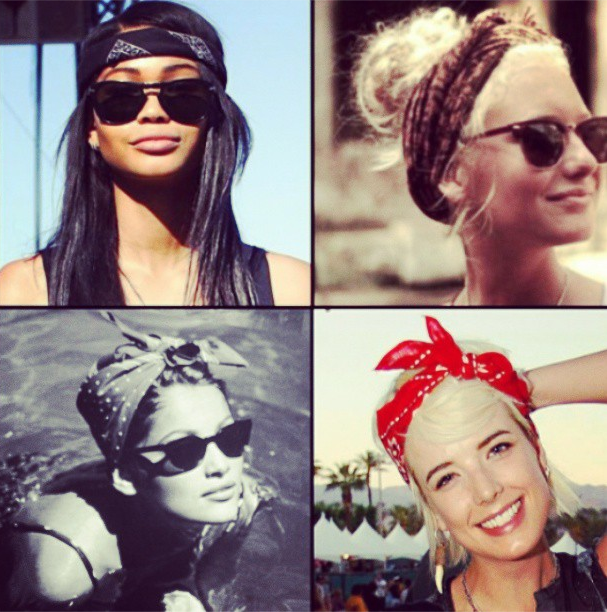 Headscarves for the win! Anyway, please show my Facebook Page some love <3. kw ladies in navy J. Crew giveaway! Thanks lovely lady, but I'm not actually in any of these above photos! lol Thanks for the visit. I want to go to Coachella too one day...dont worry both of us will!! !